Universal: because the values of music, youth and art are universal. Universal: because, in a World that is now small thanks to technology, it’s not only important but necessary to spread the values of internationality and brotherhood. A goal I worked years to obtain, looking forward to make the Orchestra an artistic, cultural and moral experience. A youth’s hymn to music. Spread a message of brotherhood and friendship through the universal language of music. Stir up the love of music and culture in the young generations. 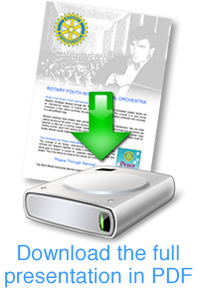 Offer young musicians a chance to fulfill their professional and artistic ambitions. Carry out actions of public and humanitarian relevance. During the past years the Rotary Youth International Orchestra had the pleasure to have musicians from 142 different countries. Among all the performances of the Orchestra I have very fond memories of the ones in India (“World Music Festival”, 1995) and Assisi (“Special concert for world peace and the harmony of the Universe “, 1998). Humanity puts money in football matches, wars, churches, politics, banks and continues to make wrong choices in all areas of life: while the economy prospers the human being dies. Investments are made in the spirit and not in matter. 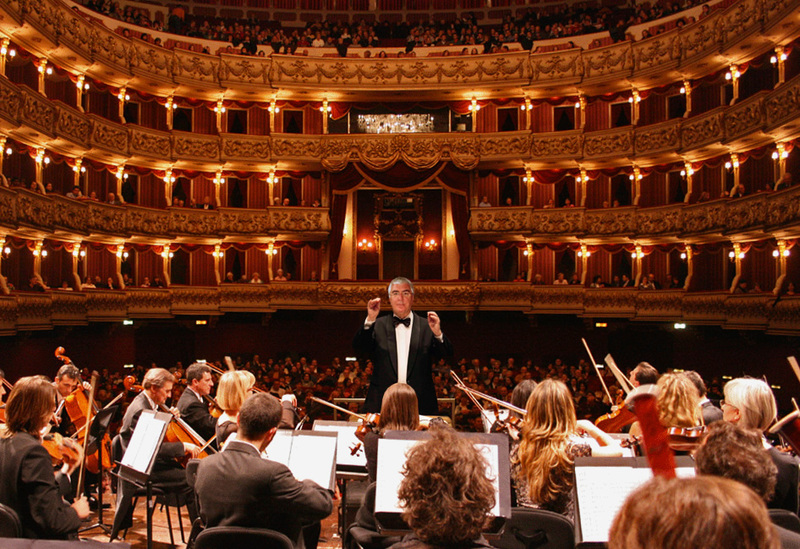 The truth is that nobody wants to play in the Orchestra, we live in a world of soloists: churches, politics, government leaders, media, schools, actors, singers, musicians, institutions, companies… none of them teaches how to play in the Orchestra. On the other hand, Gandhi and Mother Teresa started with a few people, Christ only had 12 apostles but they sure made a difference! 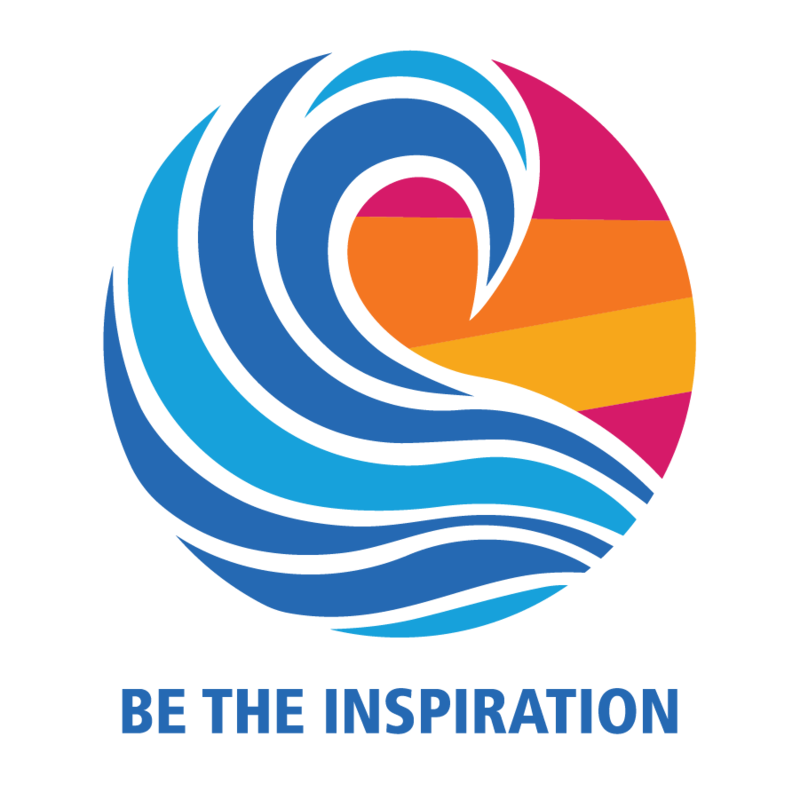 RI President-elect Barry Rassin’s theme for 2018-19, Be the Inspiration, asks Rotarians to inspire change in the world and in each other. Barry Rassin, of the Rotary Club of East Nassau, New Providence, Bahamas, is the selection of the Nominating Committee for President of Rotary International for 2018-19.